Welcome to Japan! 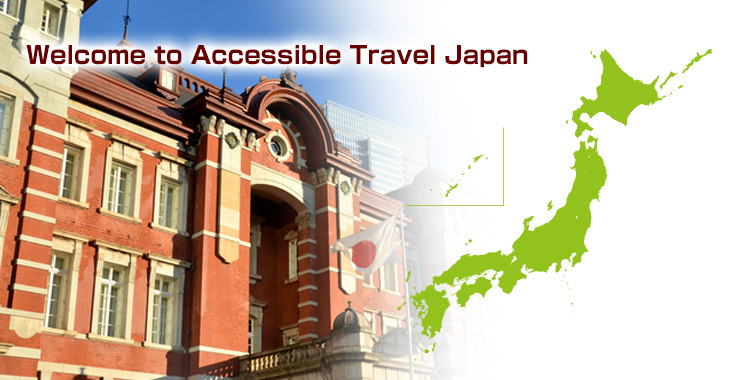 We at Accessible Travel Japan provide information and arrangements for people with disabilities and/or special needs to travel pleasantly and safely. We provide information according to your disability and/or needs. Tell us about yourself and what you'd like to do in Japan. We match your condition and needs with the necessary accessibility information. ATJ provide information for your specific needs. Please tell us about yourself and what you need. Accessible Guide for Greater Tokyo Area Released! JAPAN Accessible Travel Organization Launches New Service for Foreign Travelers and Residents with Disabilities.